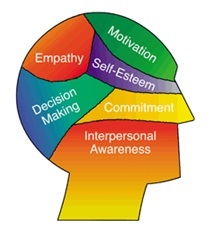 How Intelligent is Emotional Intelligence | Business Article | MBA Skool-Study.Learn.Share. Emotional Intelligence rightly abbreviated as EI is a science that has gained remarkable momentum in recent years. EI is a self-perceived ability, a skill to identify, assess, understand and control the emotions of oneself, of others, and of groups. Now this is some text book or Wikipedia definition which is easily available to everyone. But only a handful of us are actually able to understand the essence of this concept. Hence the “intelligence” part of EI remains mystified. Psychologists have advised that understanding the emotions of oneself and others is the key to a satisfying and successful life. Those who are self-aware and are sensitive towards others’ emotions manage their affairs with wisdom and grace, even in adverse circumstances. On the other hand, those who are ‘‘emotionally illiterate’’ spoil their way through lives marked by frustrations, misunderstandings, failures and bad relationships. For many years it was a general perception that intelligence viz., the power to reason and think logically, is the only parameter which decides how successful a person will be in his life. The index “Intelligence quotient (IQ)” was used for measuring the same. Schools used IQ tests to choose children for special programs and even some companies used IQ scores while hiring. New researches carried out in 1990s confirmed the presence of an “emotional brain” and a “rational brain”- the limbic system where our emotions originate and the neocortex where our reasoning power develops. The results of this research remarkably showed that both of these systems are connected together in a way that they work and grow together. 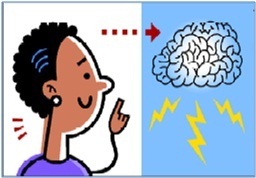 The brain’s design is such that all the information goes first into our emotional center and then into our thinking center, enabling emotions to come before thought and behavior. In words of David Caruso: “It is very important to understand that emotional intelligence is not the opposite of intelligence, it is not the triumph of heart over head -- it is the unique intersection of both.” The research was on, when this field encountered another breakthrough. Mr.Daniel Goleman published his book in 1995 stating the importance of EQ in work place and that IQ is a less powerful estimator of outstanding leadership than EQ. Daniel’s book was welcomed with a lot of acceptance and criticisms. It gave a new insight to all the researchers working on human intelligence. 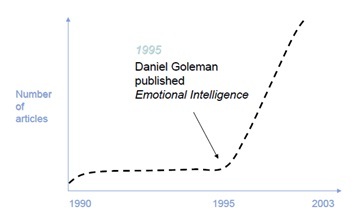 The number of articles written and published on emotional intelligence showed a tremendous increase as evident from Fig1 [Ref: Dattner,B. Succeeding with emotional intelligence]. On a contrary note, many people still didn’t agree to him and the thesis given by him. Mr. Steve Hein and Mr. David Caruso even accused him for misleading public through his researches. Though these criticisms were talked of for quite some time but soon Goleman’s theory got support and evidences in its favor and finally EI emerged as a new yardstick. Companies then start making use of EQ in hiring processes. Today, we are judged not only by how smart and intelligent we are but also by how good we are at managing the behavioral aspects of ourselves and others. This implies a person’s ability to understand his own emotions and feelings. A survey shows that a person experiences around 30 emotions per hour. Dealing with such a high number of emotions might not be an easy task for all. However if a person delves deep into it, and faces the discomfort with patience and persistence he would probably be able to make his way through it. Once a person is aware of his emotions, comes the part of “self management” which means keeping a check on our emotions. It may sound a little hypothetical that how we can control our emotions as they are backed by an impulse and heat of the current moment but this is what the science of EI contradicts with. EI says that managing your emotions means you are allowing your rational part of the brain to overpower emotional part, to help you act calmly and composedly. It includes elements of self-control, adaptability, trustworthiness and conscientiousness. In the above two attributes the person has worked on himself i.e. worked inwardly. Having done that, he needs to work outwards. Social awareness thus is the ability to sense, understand, and react to others' emotions while comprehending social networks. i) Listen Carefully: Listening well and deeply means going beyond what is said, by asking questions; restating in one’s own words what you hear to be sure you understand. This increases the trust and attachment between two persons. ii) Practice Empathy: It is the ability to understand how the other person feels and what makes him react or behave in a particular way. It is like “walking in their shoes” to understand them better. Any relationship is backed by two main components viz. how you deal with your own emotions and how you deal with others’ emotions. These two factors can be strengthened by aforementioned three attributes. Besides this relationship management also requires the person to be good at managing conflicts. People with this competence are able to handle difficult people and tensed situations with diplomacy and tact. The above mentioned attributes are summed up in figure2. It was a general belief that EI is inborn and cannot be acquired or strengthened. However researchers have proved that a person can increase his EQ by taking regular tests which measure EI, analyzing the results and working on weak areas. For measuring emotional quotient of employees, several tests are available most common of which is Mayer-Salovey-Caruso Emotional Intelligence Test (MSCEIT). It tests people on the skills of perceiving emotions, facilitating thought, understanding emotions, and managing emotions. MSCEIT consists of around 140 items and takes approximately 40 minutes to complete. It provides 15 main scores under the categories of total EI score, area scores, branch scores, and task scores. EI has provided us with yet remarkable discoveries. The skills and attributes which were initially considered a part of just “human behavior” can now be significantly judged and reasoned out. To quote an example of effectiveness of EI, let us review a recent study conducted by Charted Management Institute. This study showed that up to 30% of a company's financial performance can be attributed to the climate a leader creates and up to 70% of the climate can be based on how "emotionally intelligent" its workforce is. This may seem an extreme inference of the study so carried out, but research shows that having the “right skill set” is just not enough. Companies thus evaluate people on the basis of both IQ and EQ. An applicant low on EQ suggests that he is unlikely to form positive relationships, may upset people around him, spreads negative energy and have high levels of stress which may act as a hindrance to a) his own internal progress in business and b) the business to flourish. In other words, such a person, in spite of having great intelligence and academics, might not prove fruitful to the employer. Besides this, people high on EI contribute significantly to the industries. Such people are very effective in decision making process because they work for outcomes which benefit them and others. They try making processes win-win for both the individuals and the company. Moreover organizations these days encourage adaptability in its employees to improve their competitive position. In this respect also, people high on EI are found to be more adaptable and flexible which gives them an upper hand over those low on EI. Thus it can be concluded that EI plays a very important role in the organization. EI is a way of recognizing, understanding, and choosing how we think, feel, and act. It shapes our interactions with others and strengthens our understanding of ourselves. It defines how and what we learn; it allows us to set priorities; it determines the majority of our daily actions. All the above mentioned examples suggest that increasing EI will be in favor of both the employee and the organization. It creates a higher degree of satisfaction and comfort among the workers and all of this translates into either cost savings or a profit boost for businesses. Thus emotional intelligence can’t be given a backseat while selecting right person for the right job. 1) Matthews Gerald, Zeidner Moshe, and Roberts Richard. 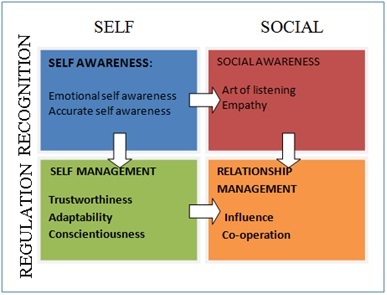 Emotional Intelligence Science and Myth.